Within our club we have 'ordinary' people doing extraordinary things which our members often don't get to hear about. We will be regularly featuring members here who have enjoyed some great achievements or who have an interesting story to tell. 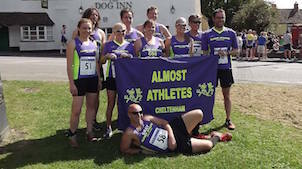 Please let us know if you are aware of a member who has done something remarkable that you feel should be highlighted - email almostathletes@hotmail.com.